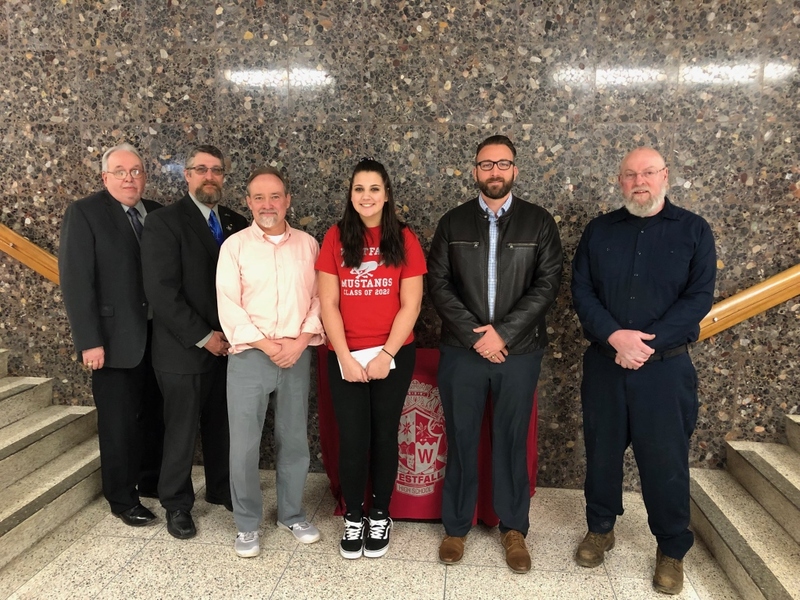 Crystal Bartlett is a freshman at Westborough high school she belongs to the band and they’re taking a trip to Disney World. 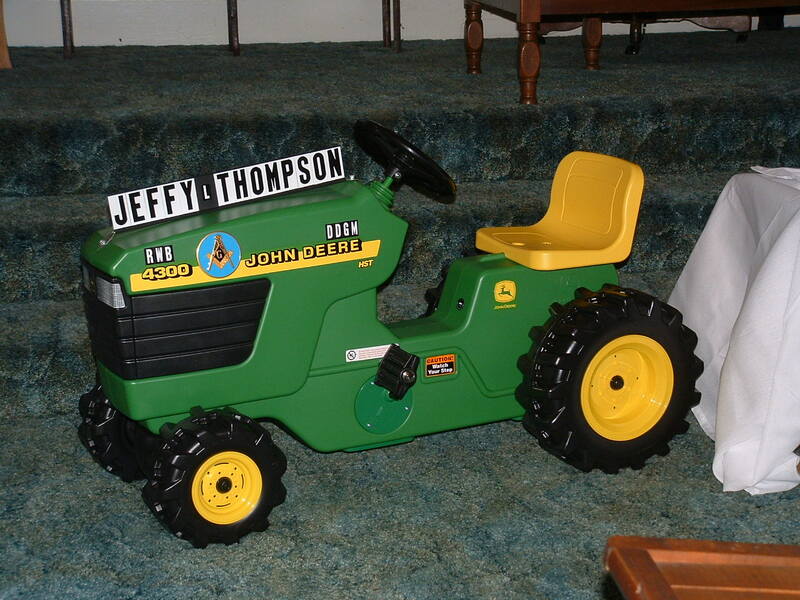 Her father has medical problems and they have no money to send Crystal. 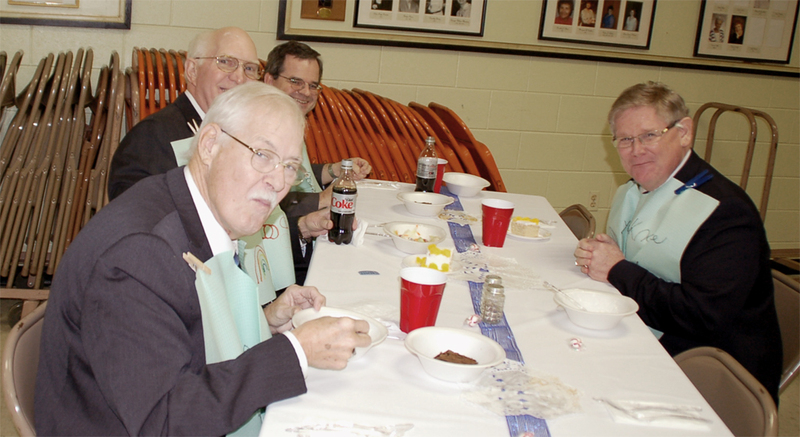 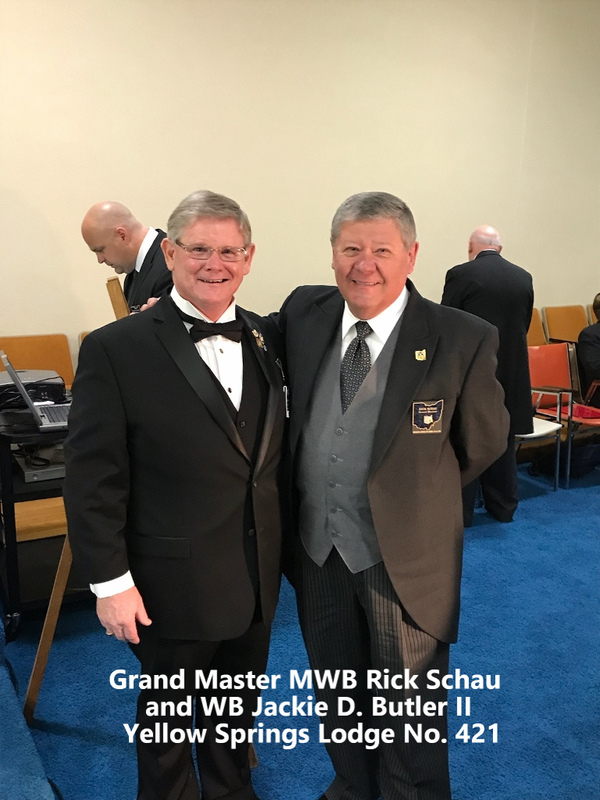 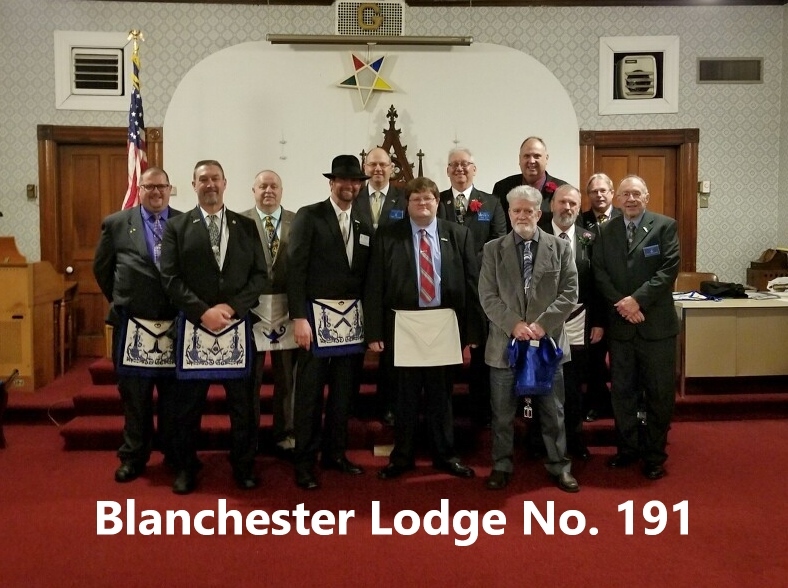 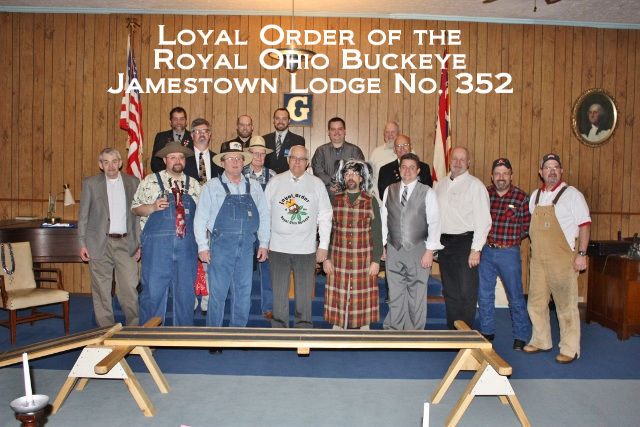 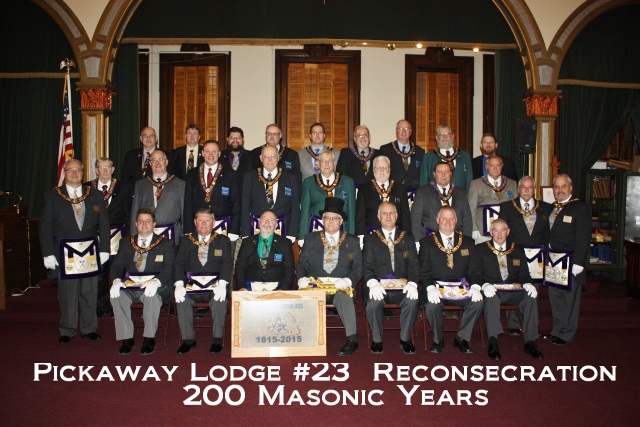 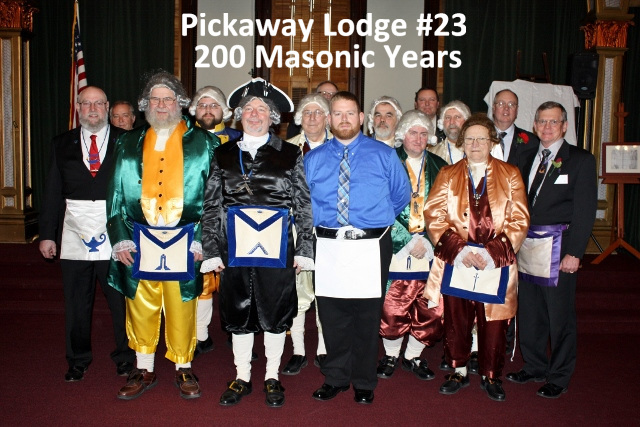 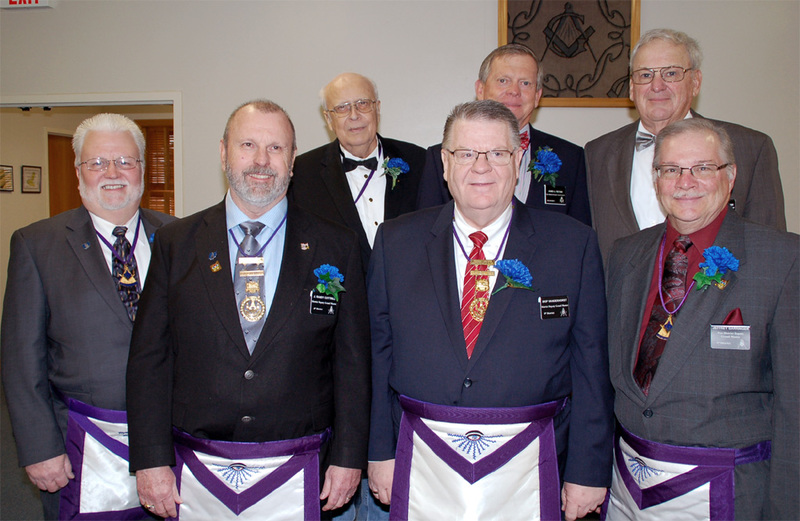 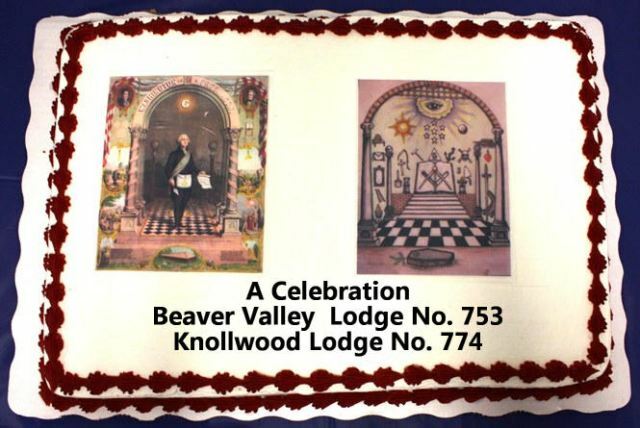 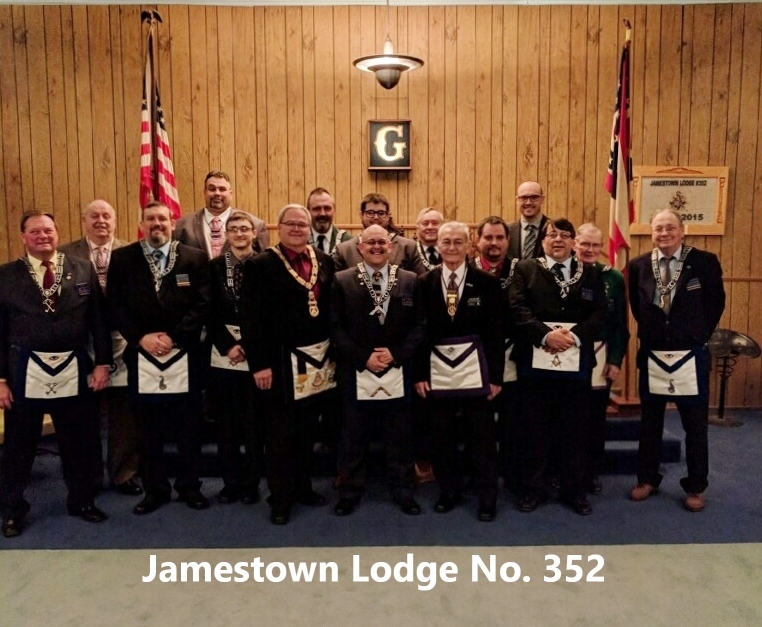 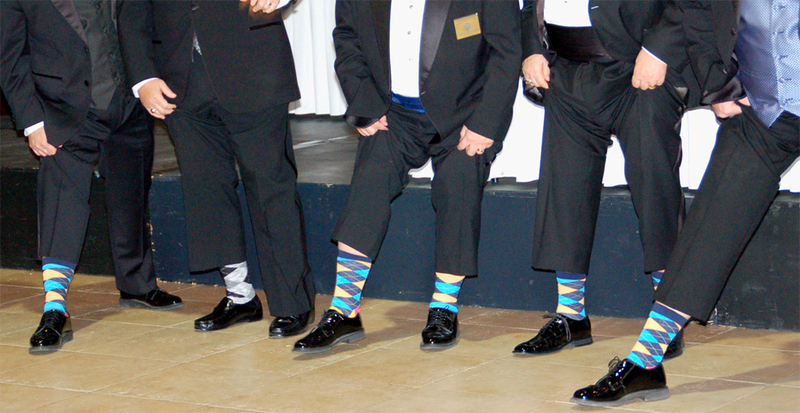 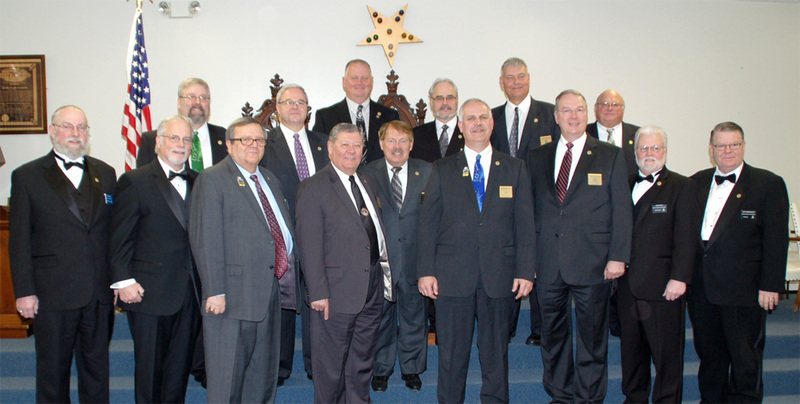 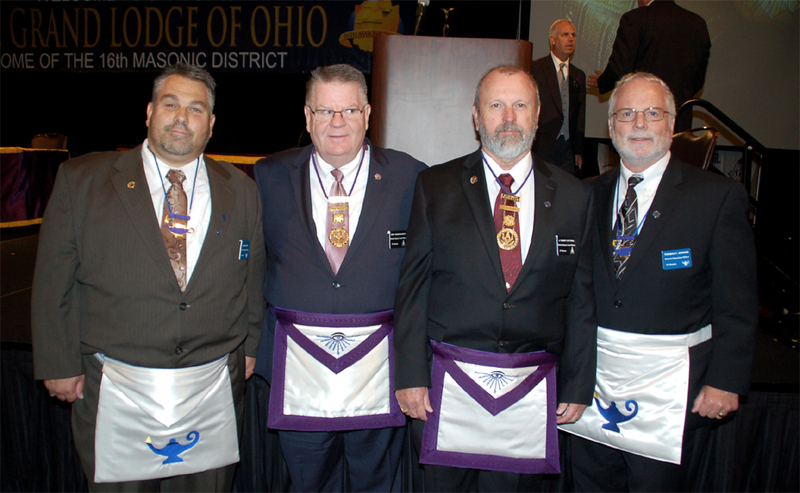 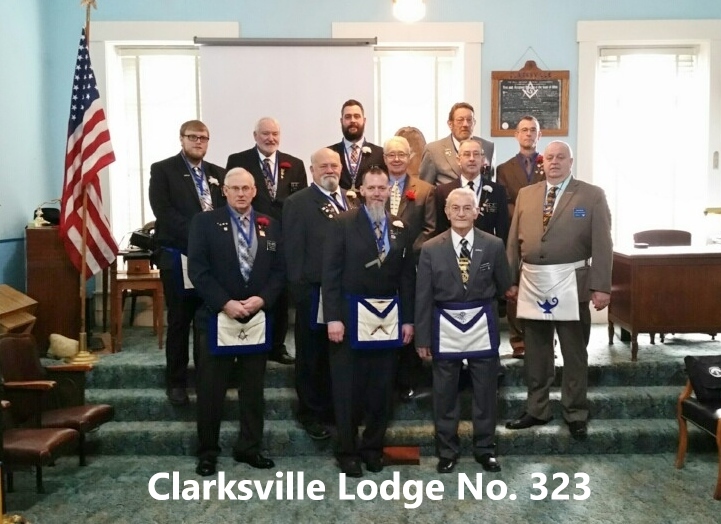 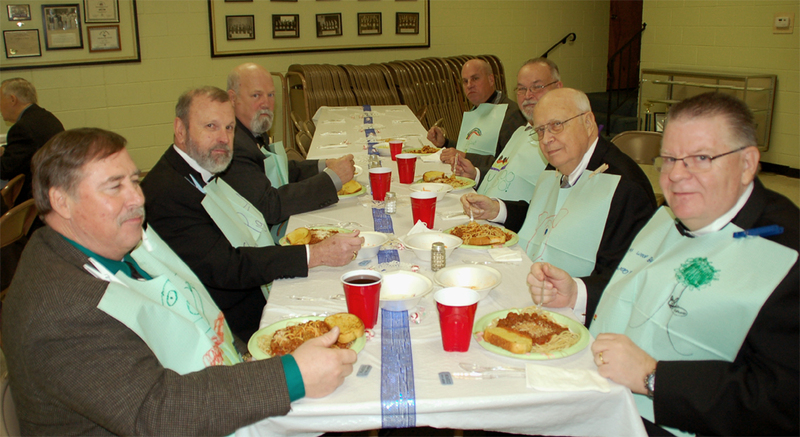 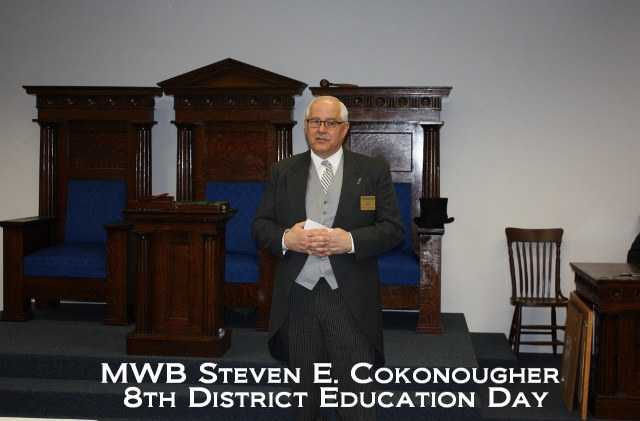 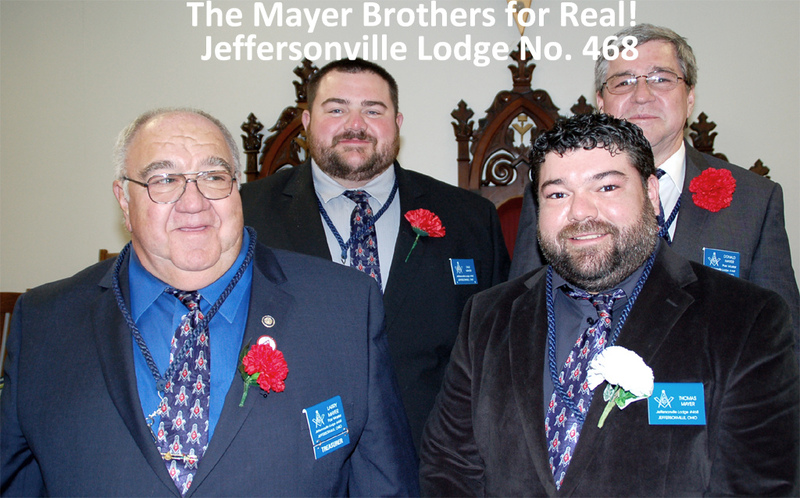 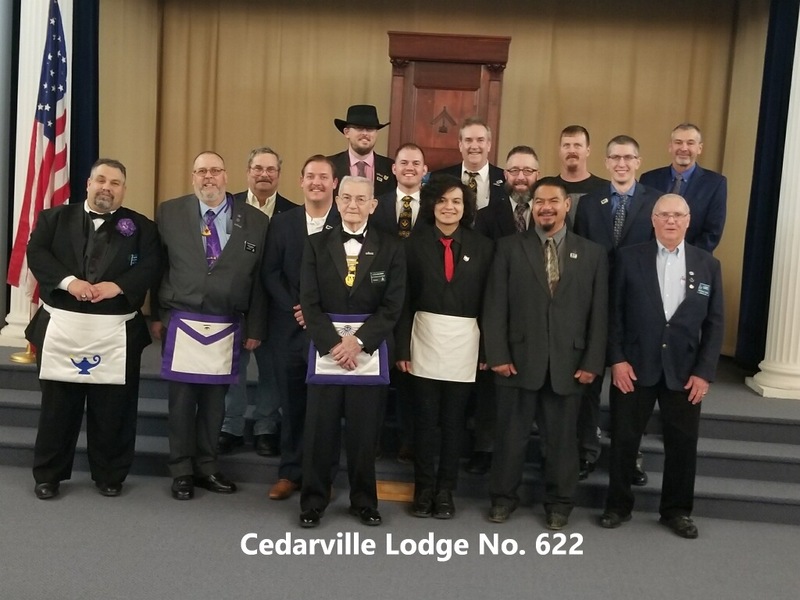 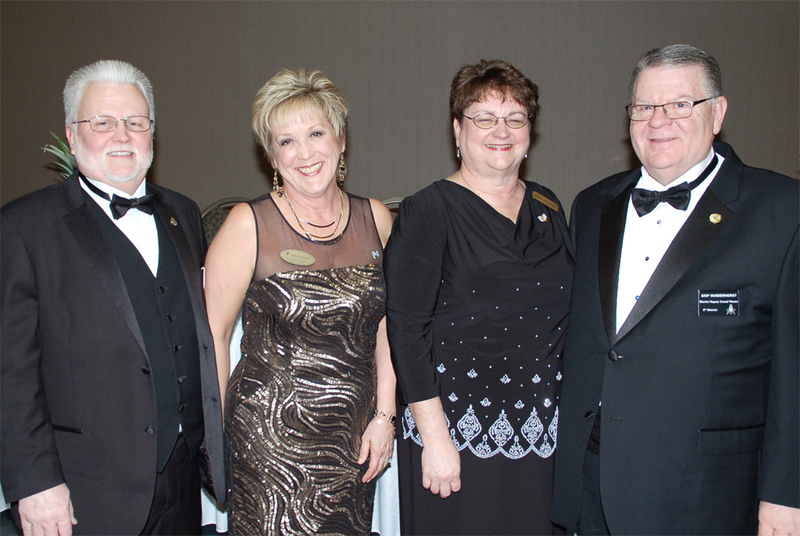 Pickaway Lodge No. 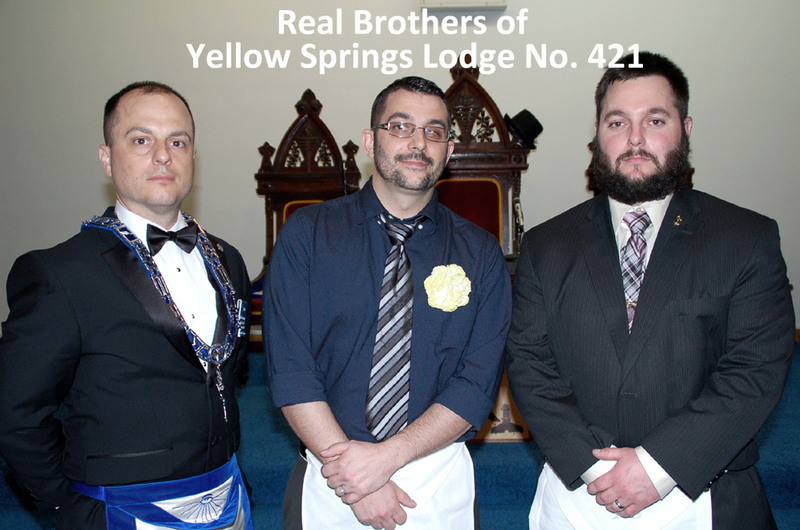 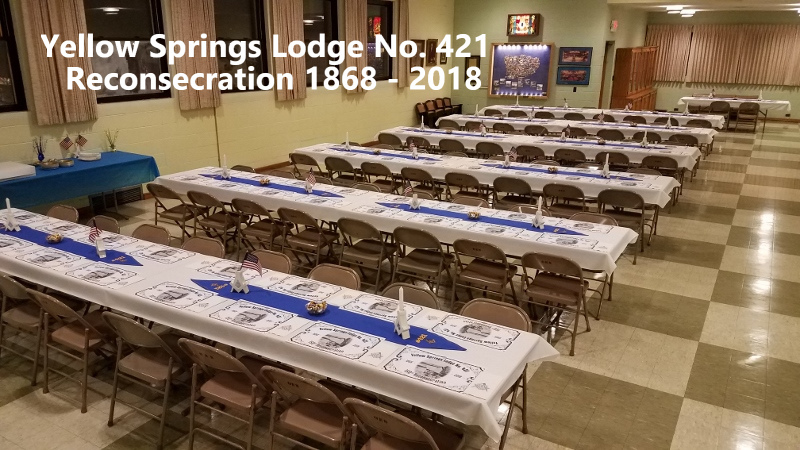 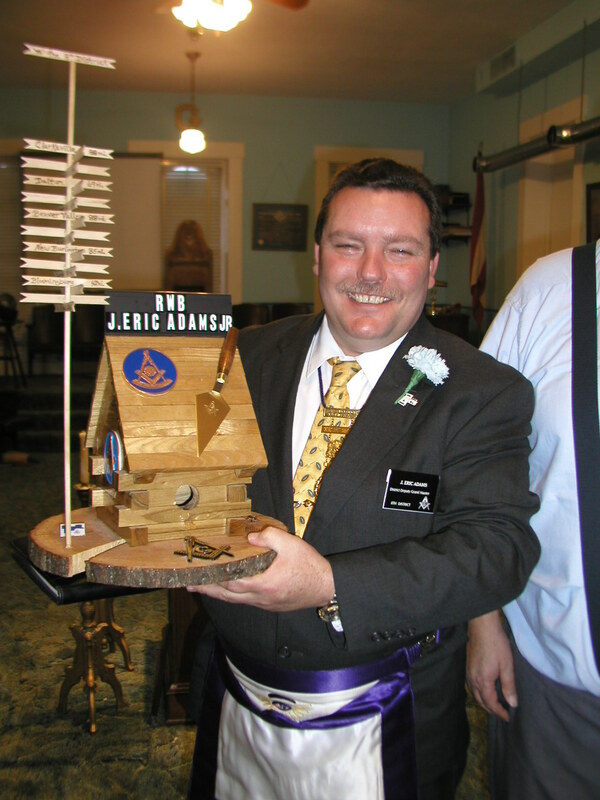 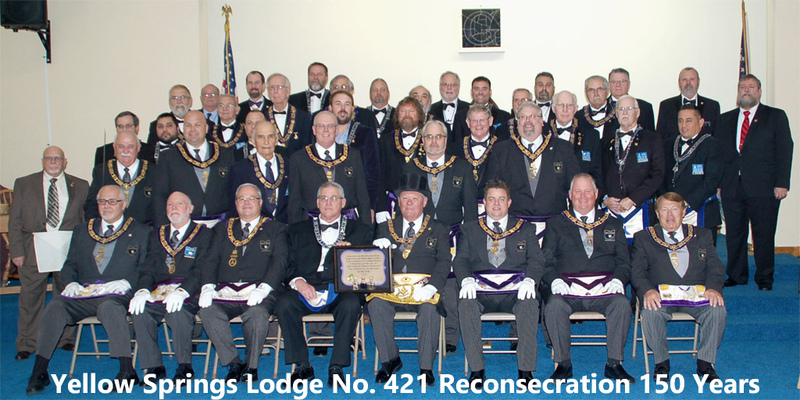 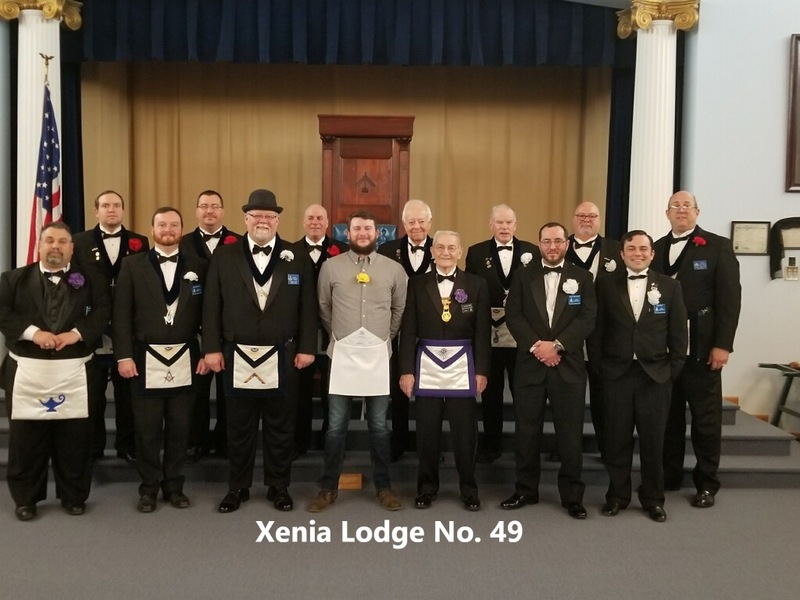 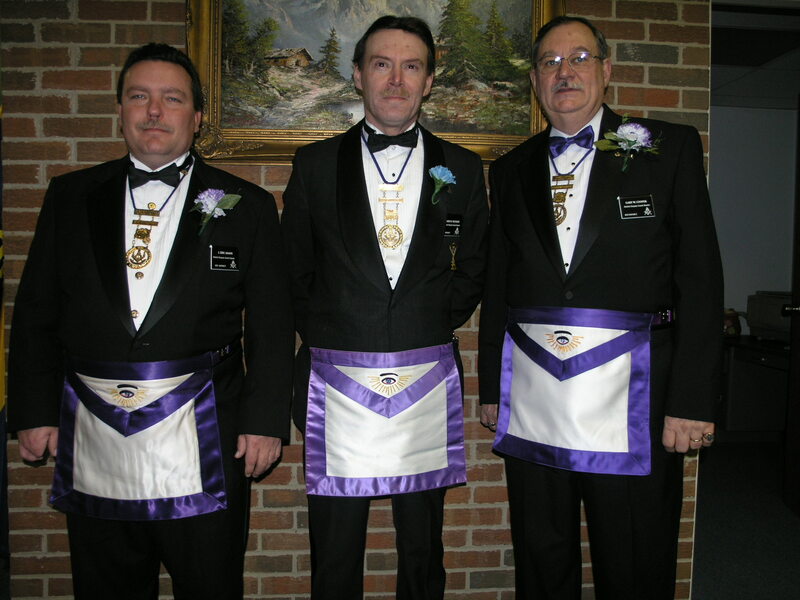 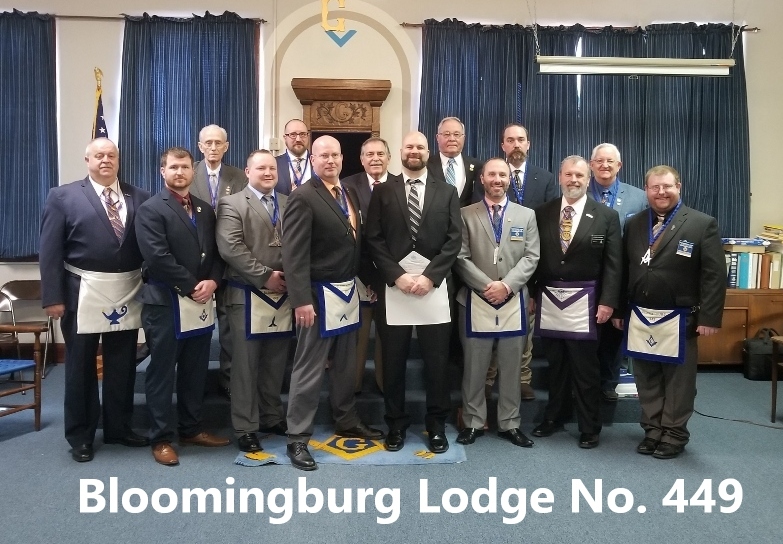 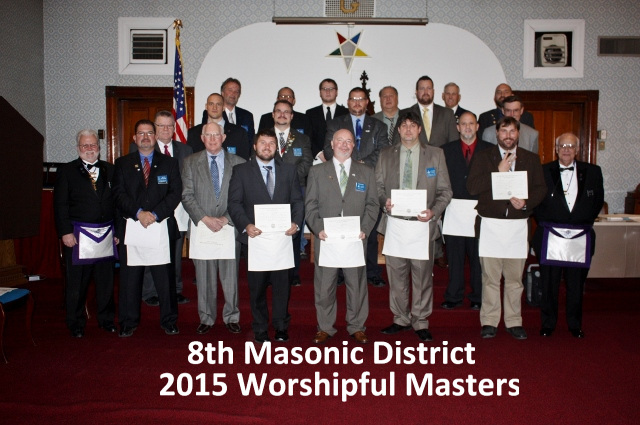 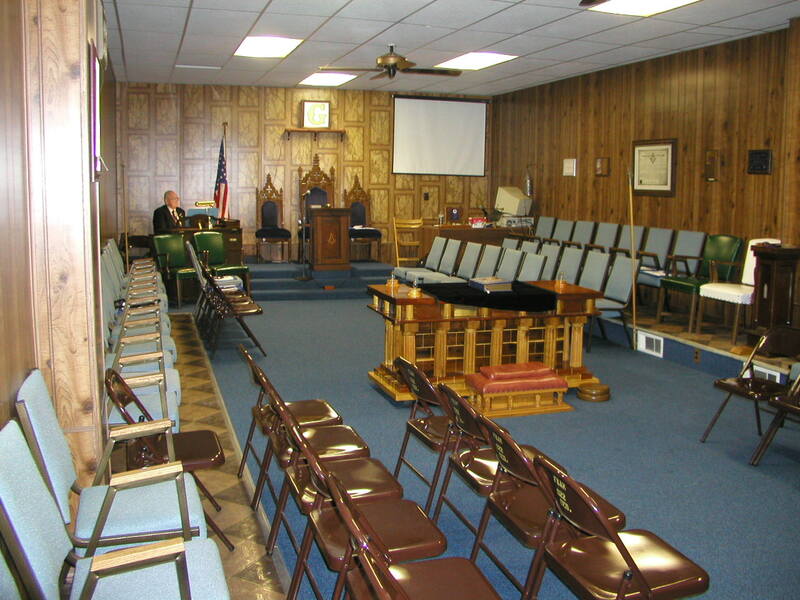 23, Logan Elm Lodge No. 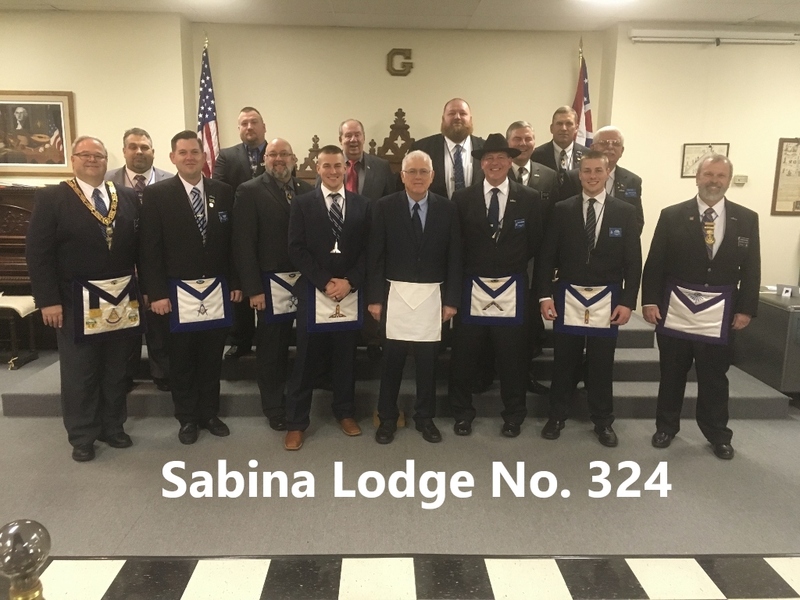 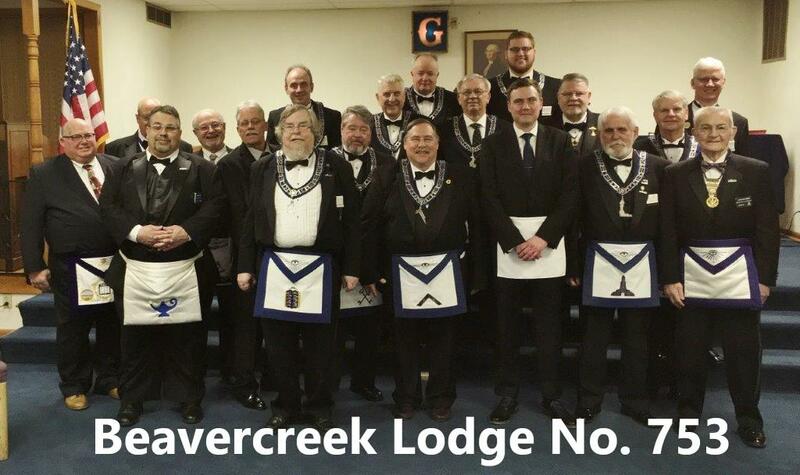 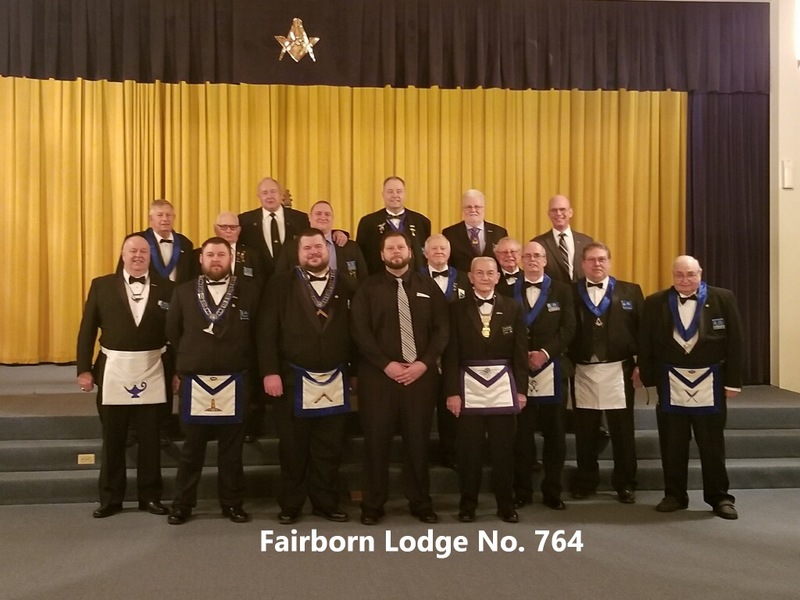 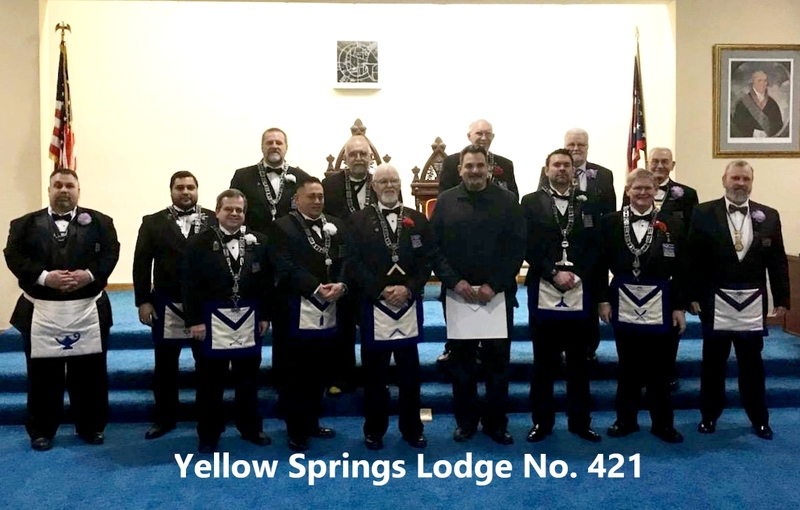 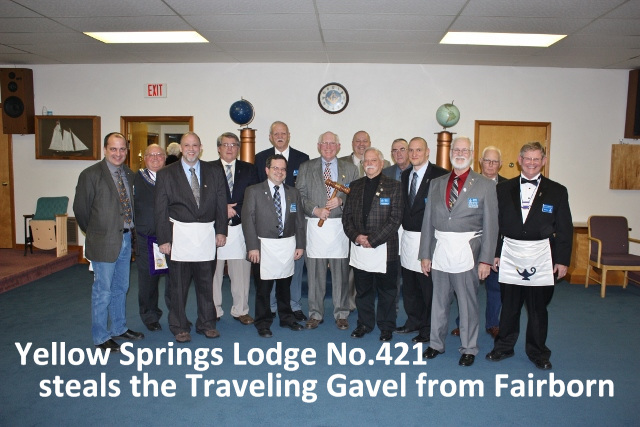 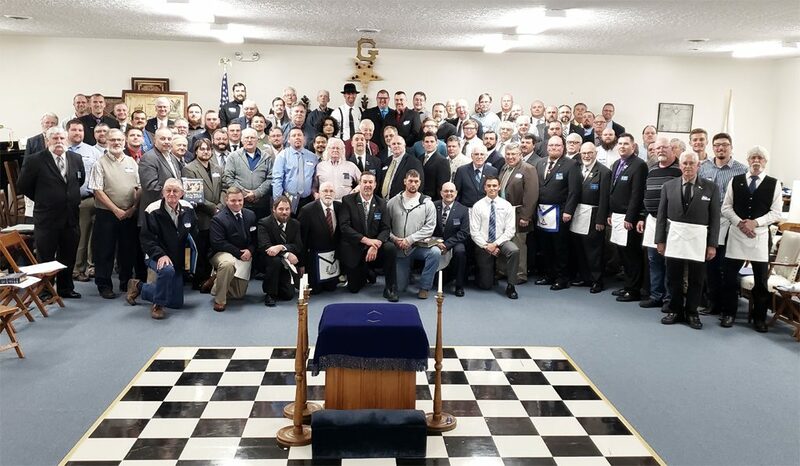 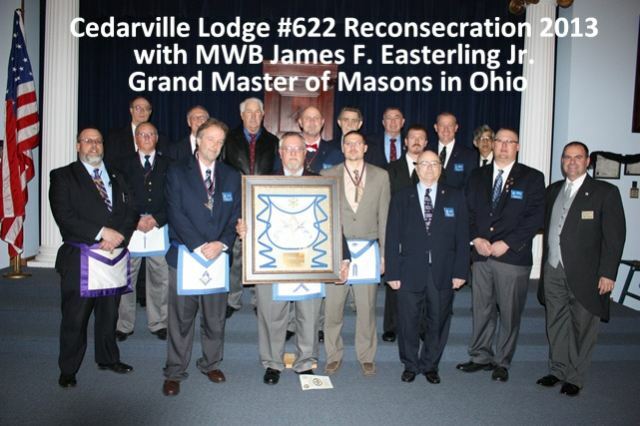 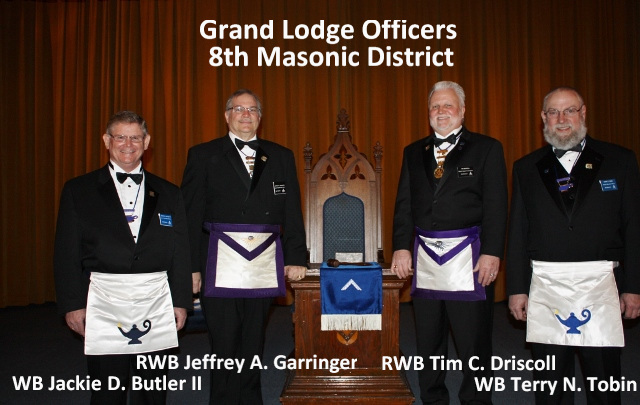 624, Heber Lodge No. 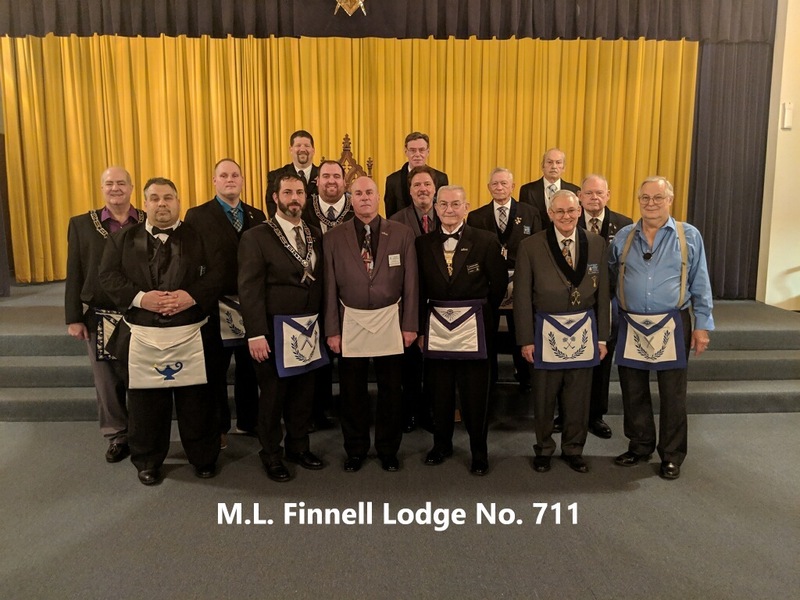 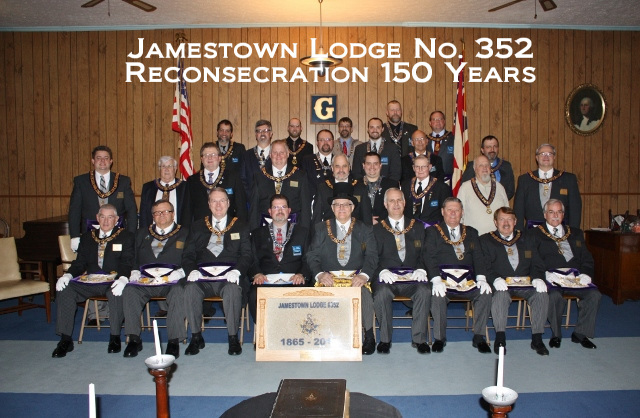 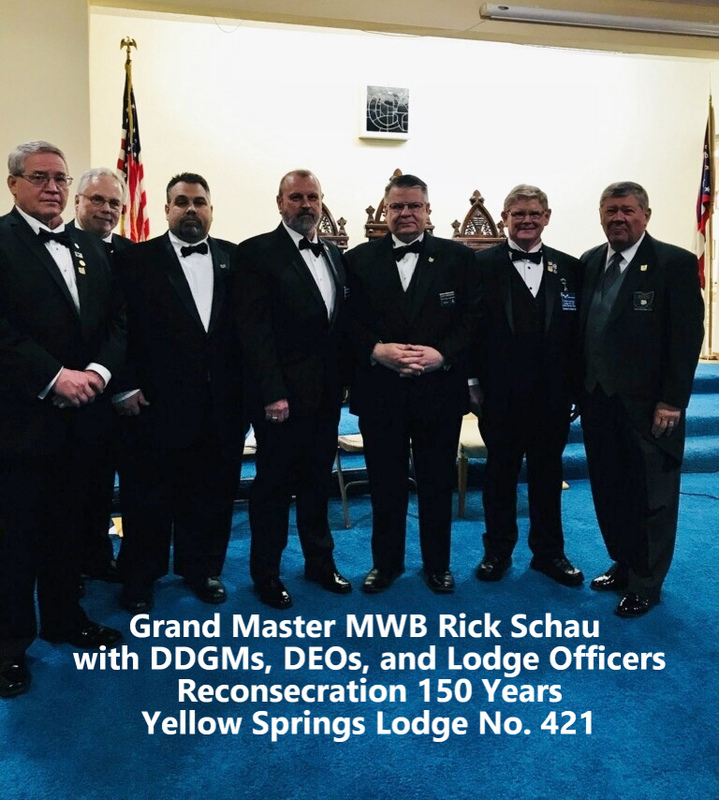 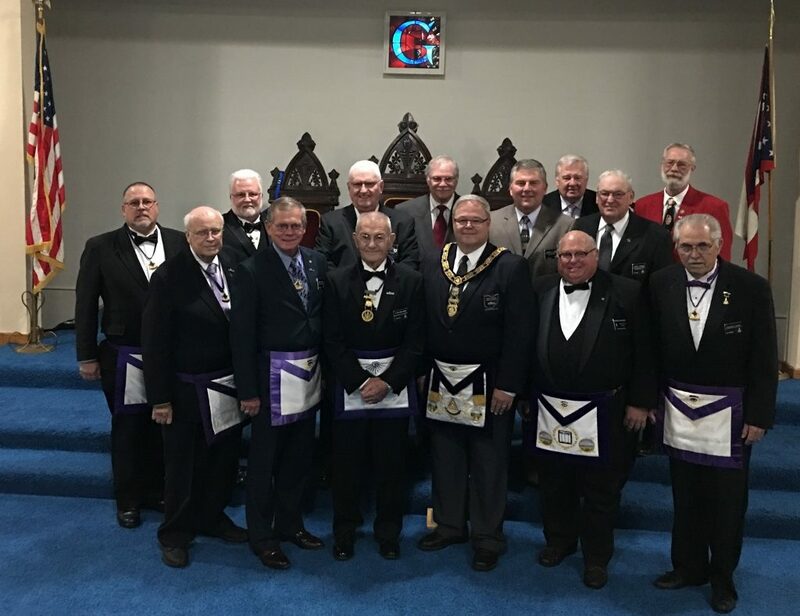 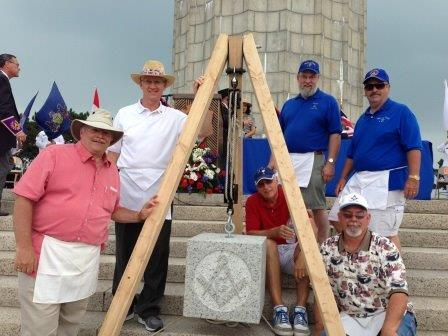 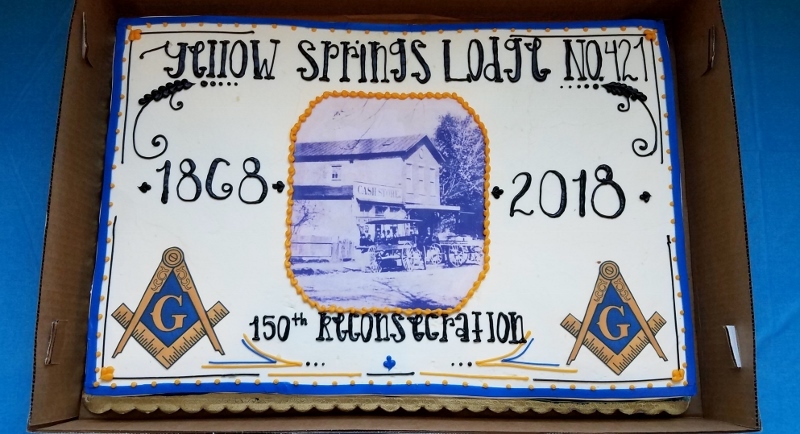 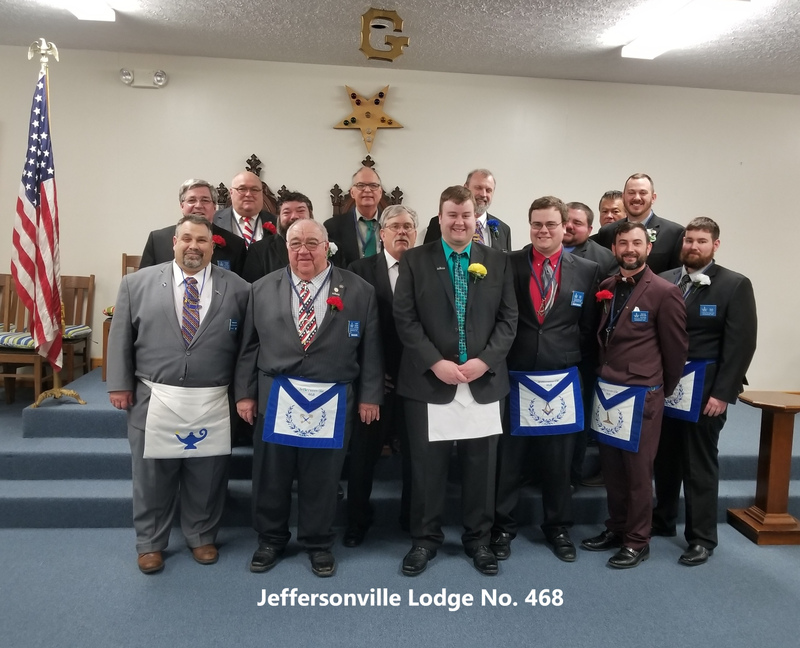 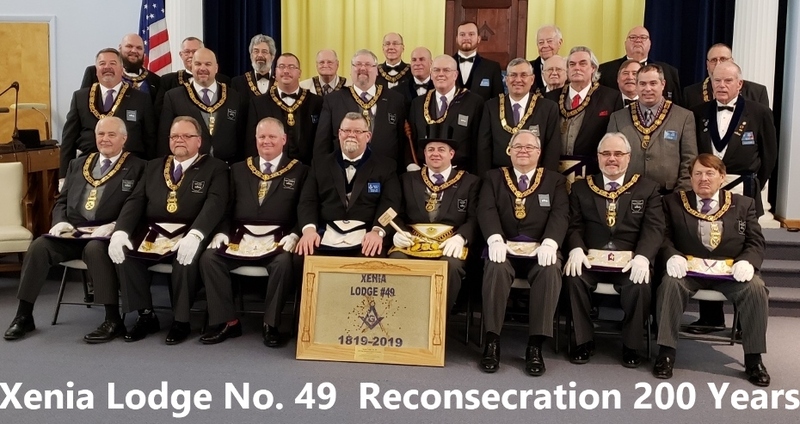 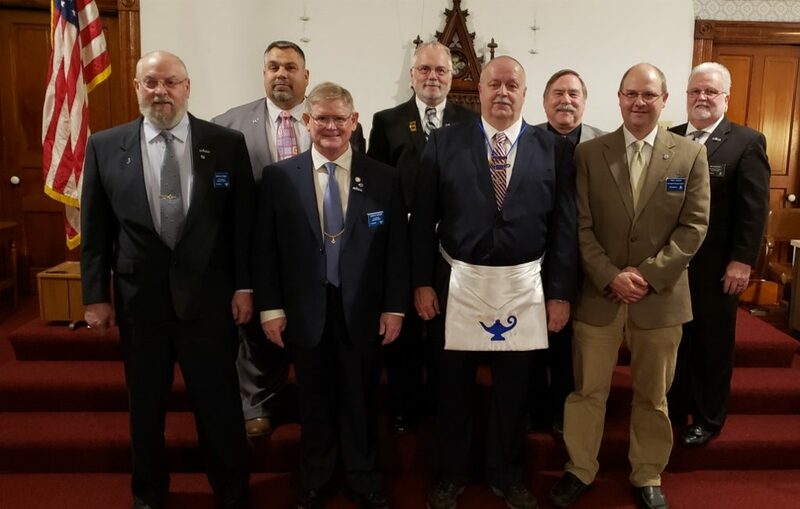 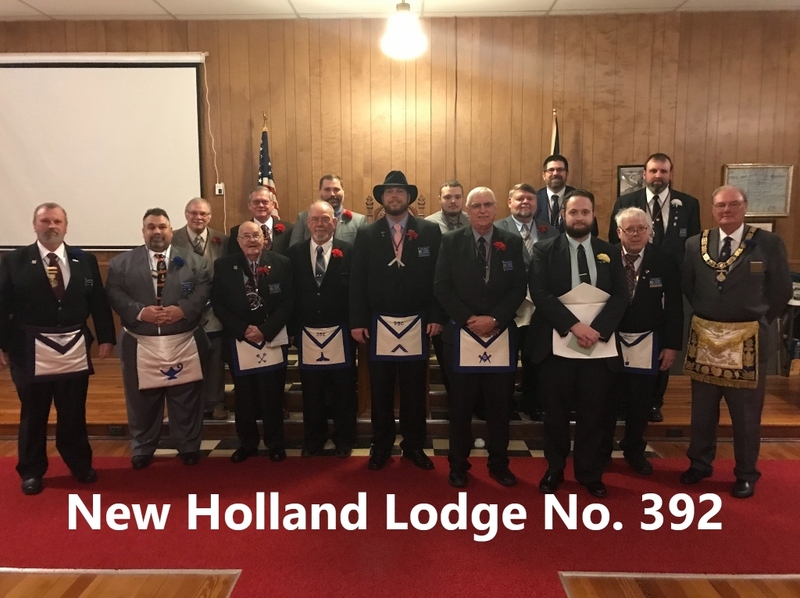 501, and new Holland Lodge No. 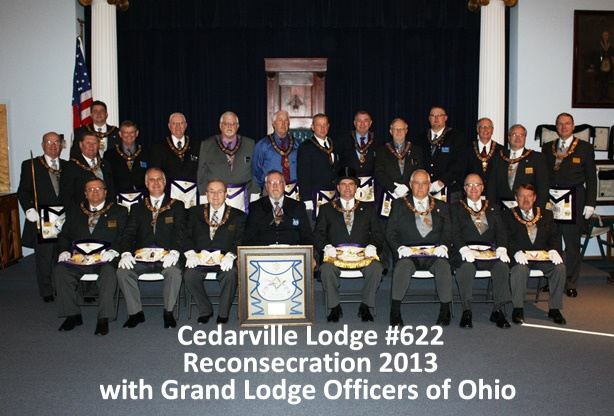 392 took up a collection and was enough to send Crystal on that trip. 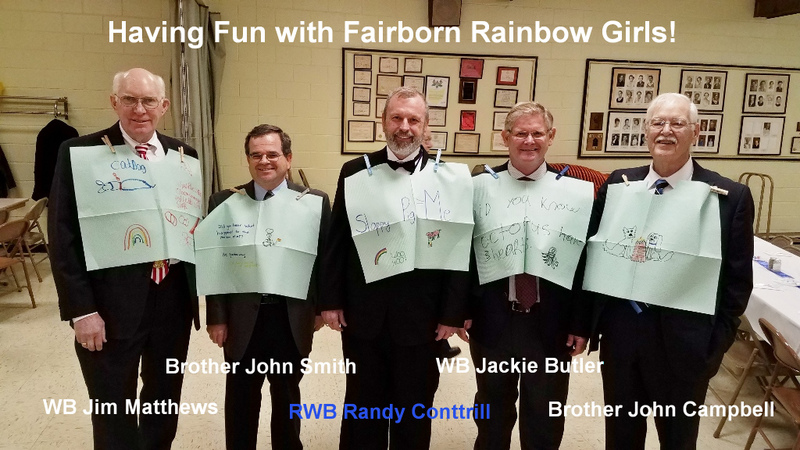 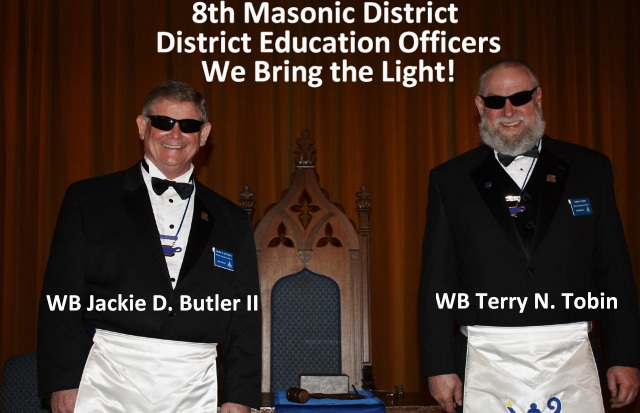 Amazing Brethren Thank You! 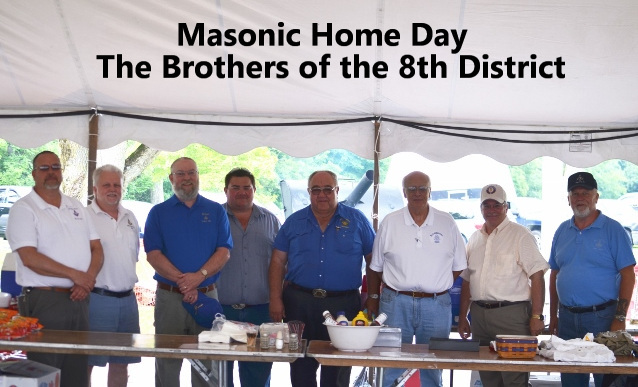 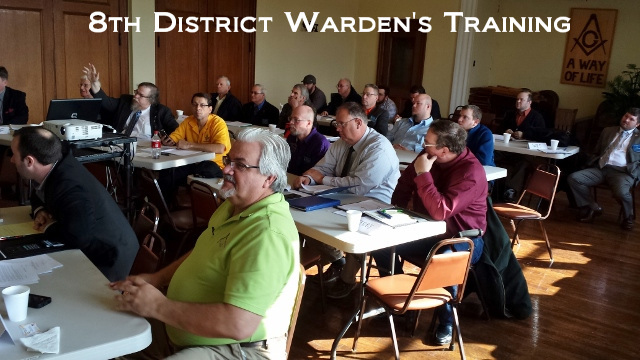 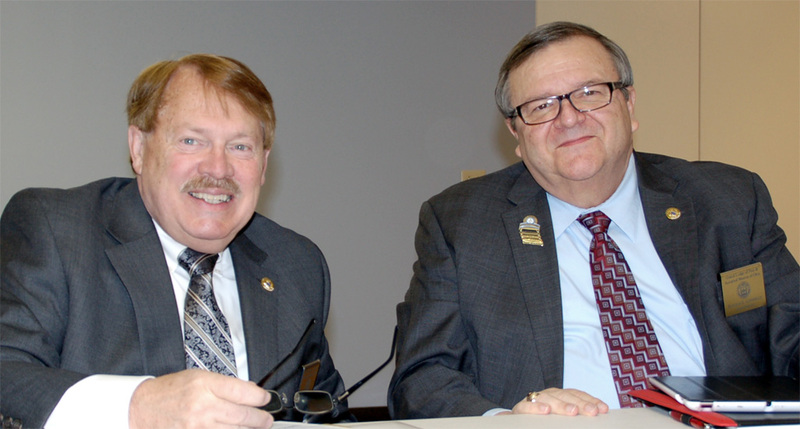 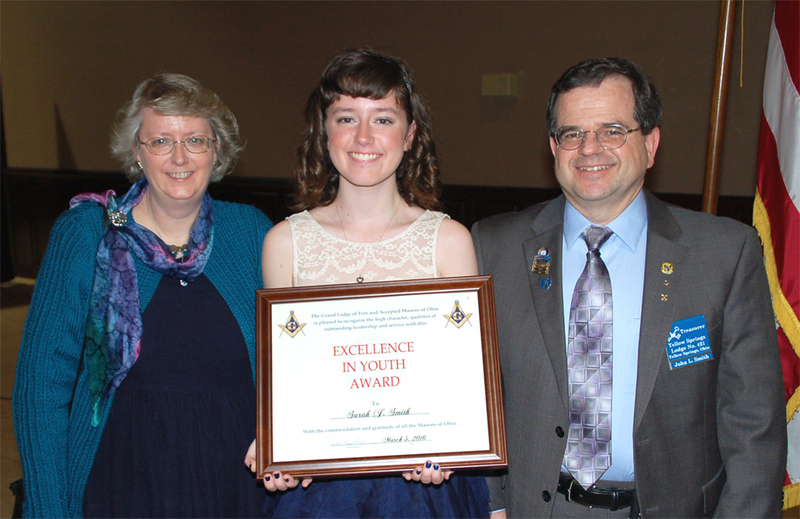 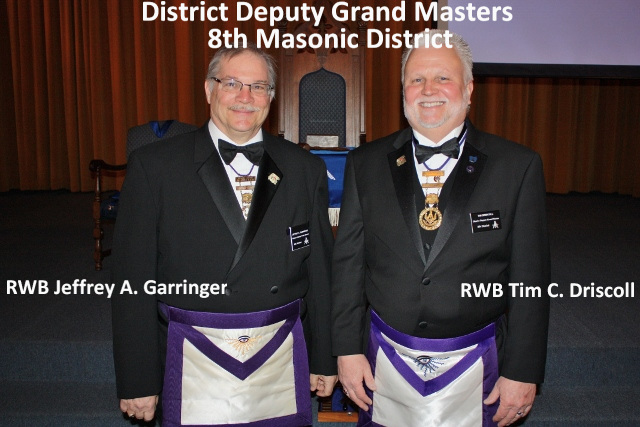 8th District DDGMs and DEOs Shine On! 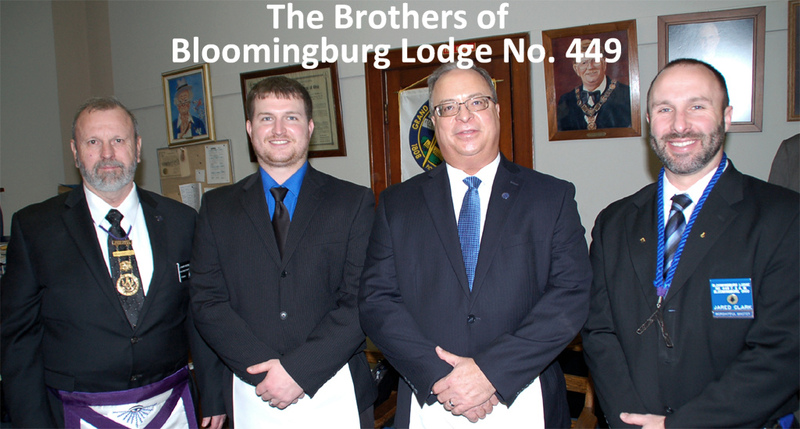 We’ve been too quiet about our fraternity! 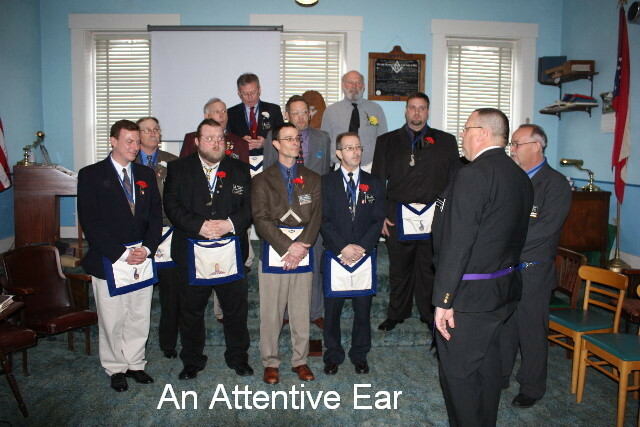 Every Brother needs to become a spokesman for Freemasonry. 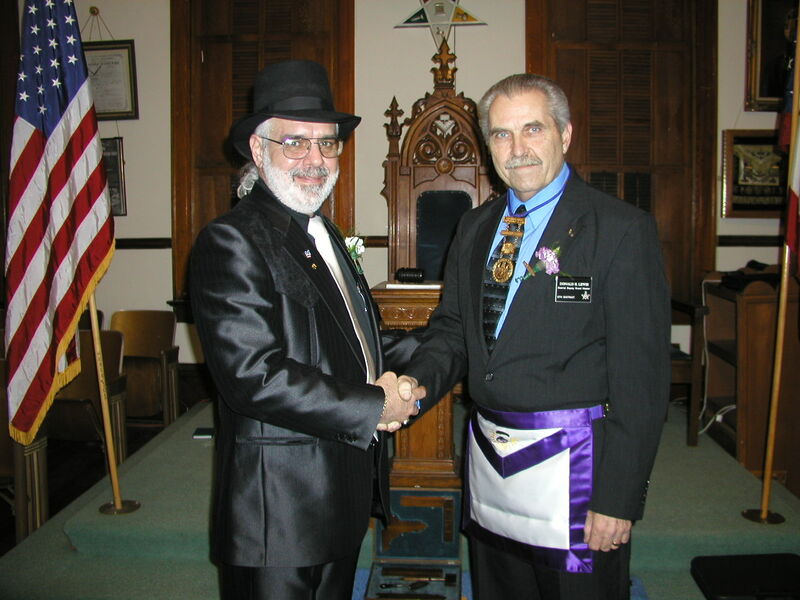 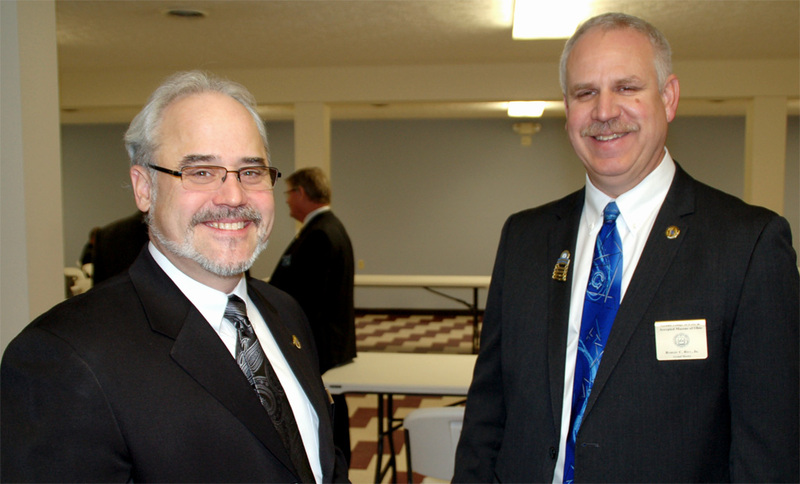 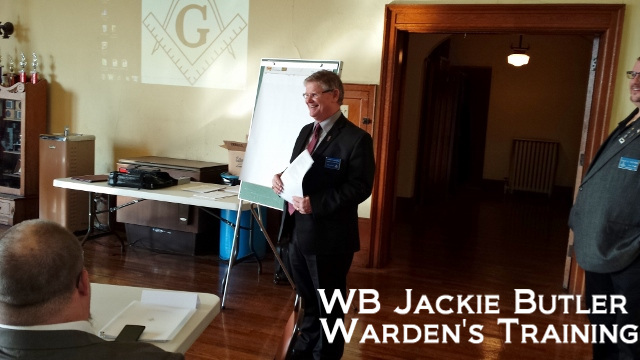 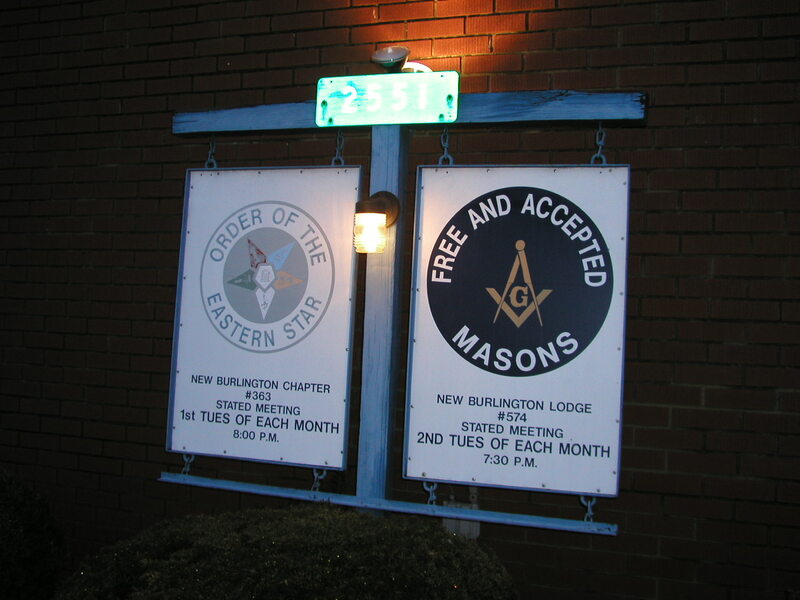 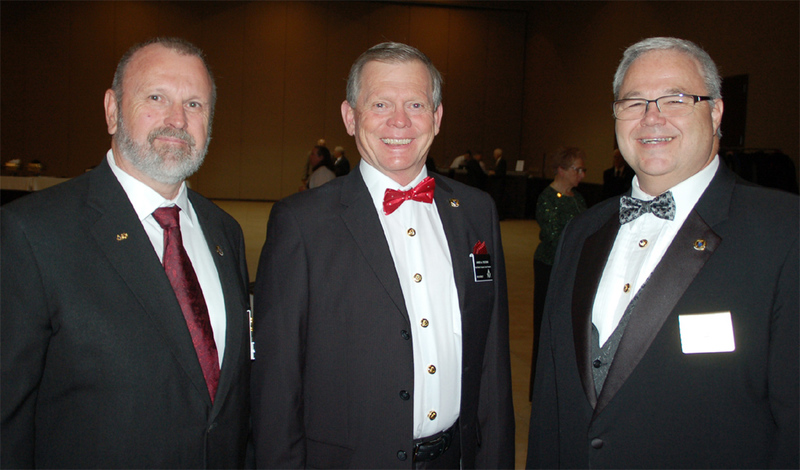 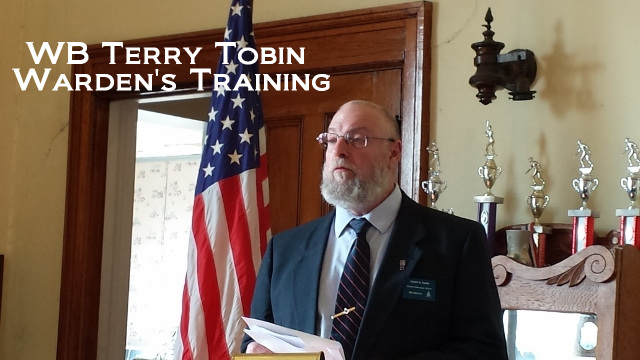 It’s important to talk with non-Masons about who we are and what we do. 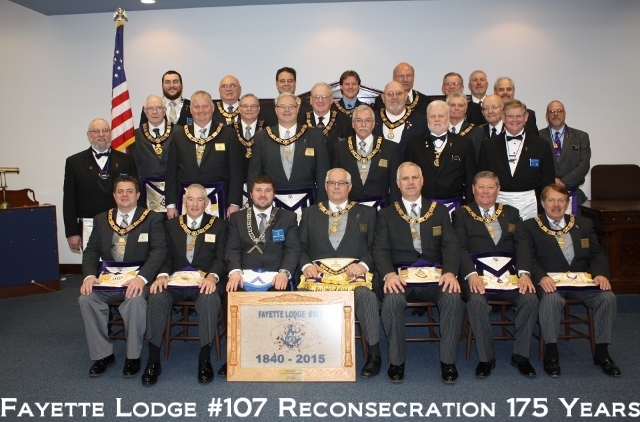 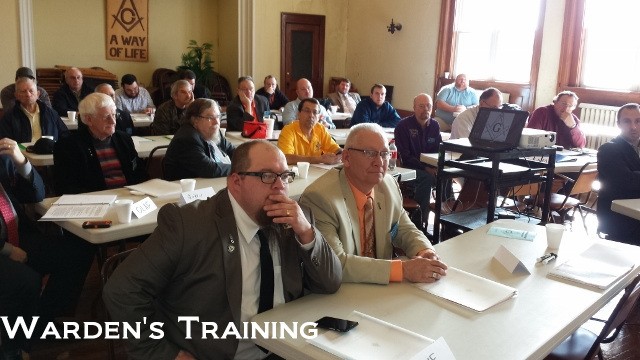 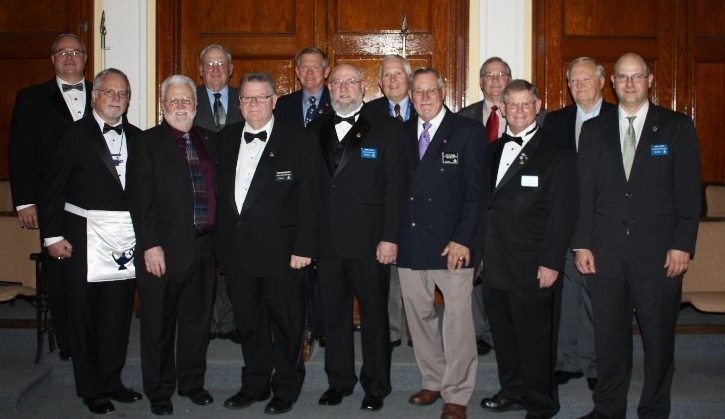 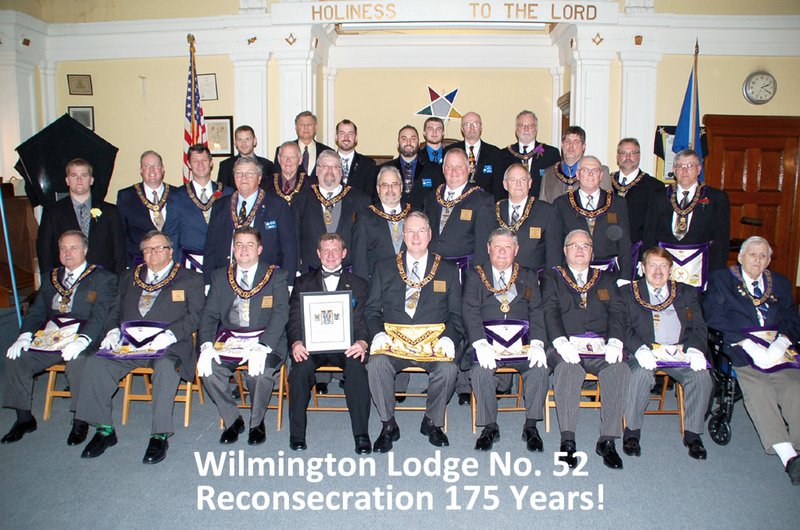 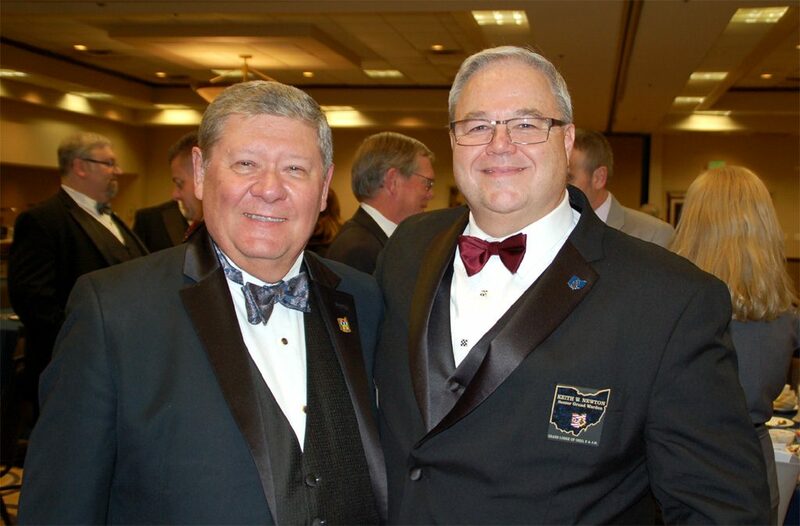 Help ensure the future of our great fraternity and your lodge…REPLACE YOURSELF! 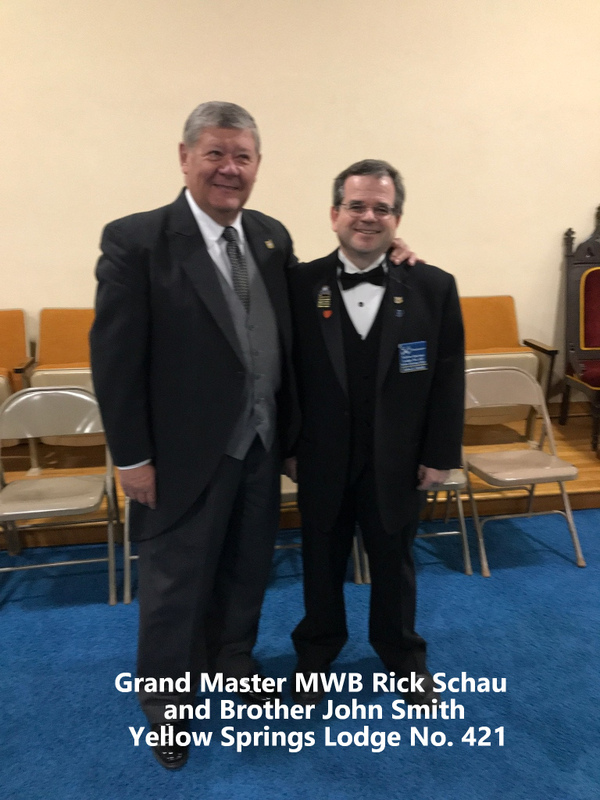 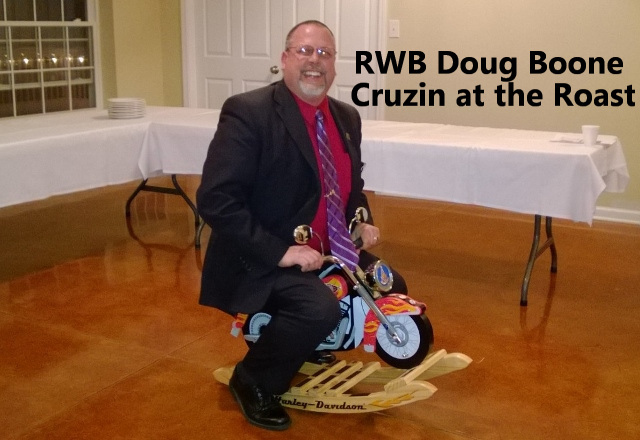 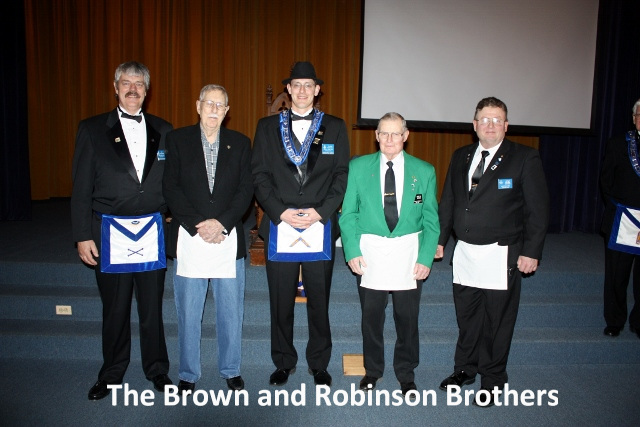 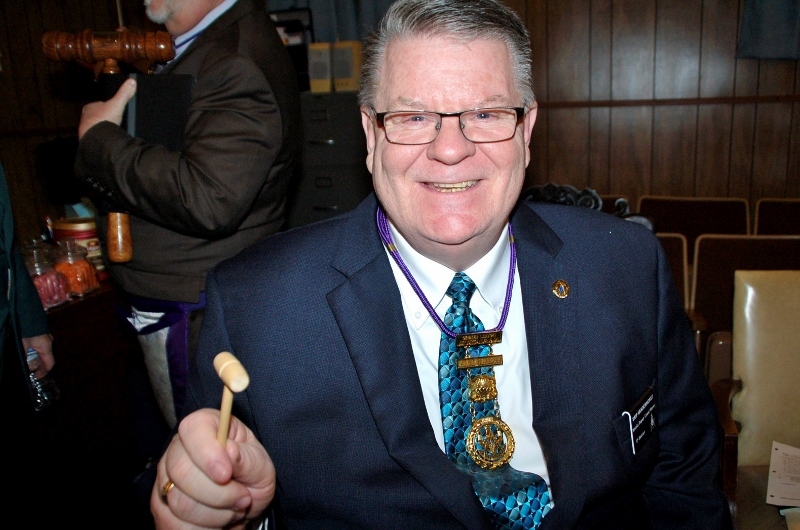 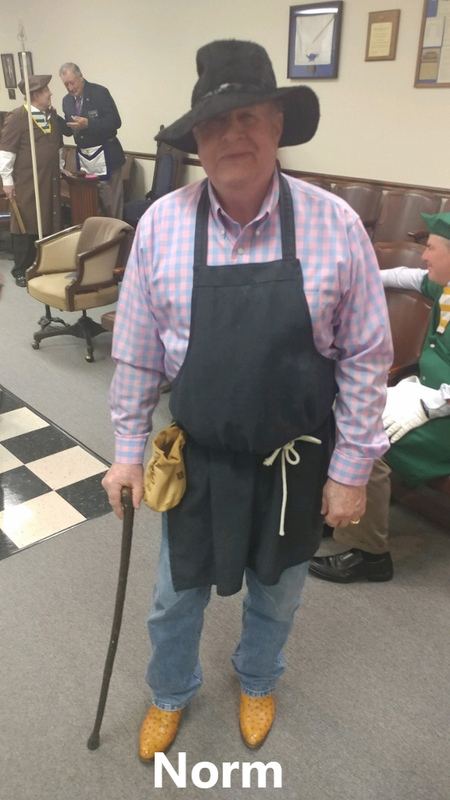 Congratulations to RWB Keith Newton on being elected to receive the 33rd Degree from the Ancient Accepted Scottish Rite! 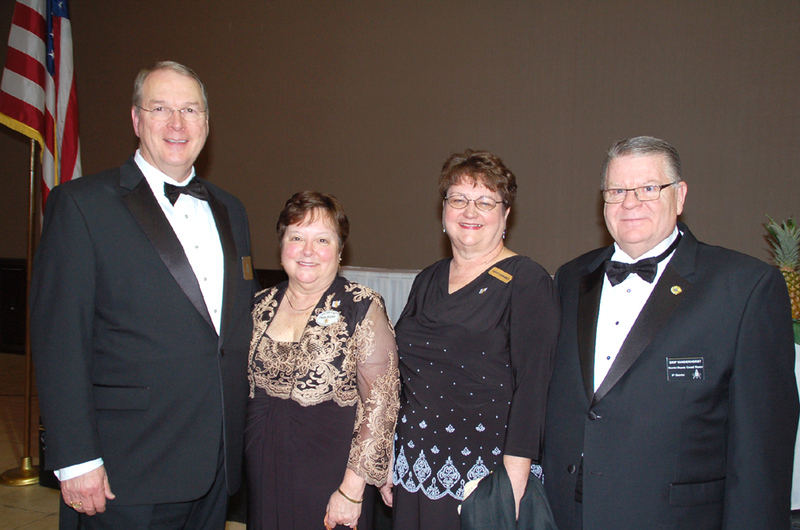 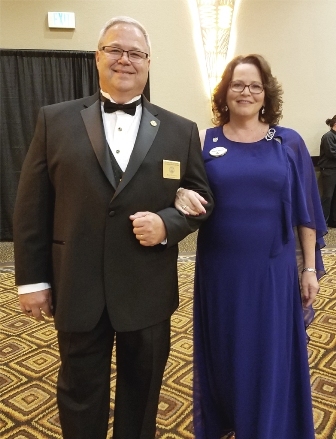 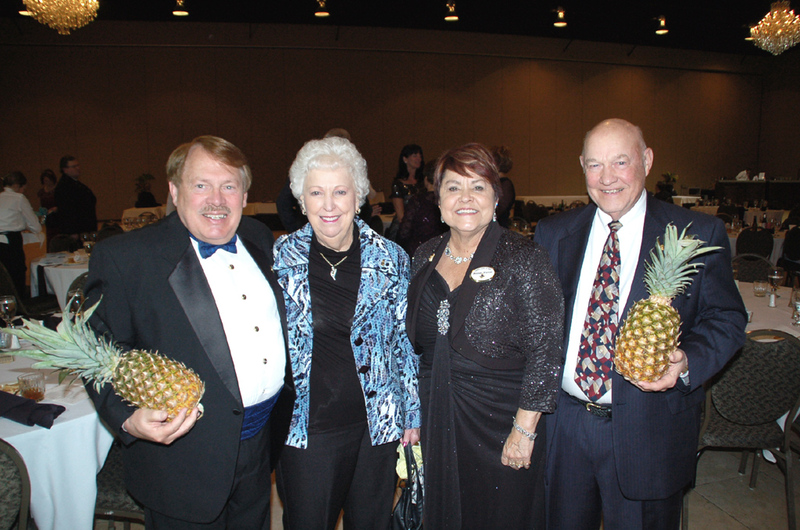 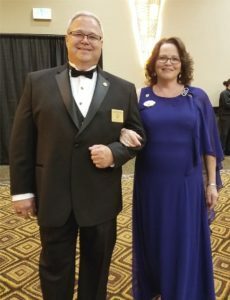 Deputy Grand Master, RWB Keith Newton, and his Lady Sharon.